Tulsi Capsule is used for Asthma, Fever, Hypertension, Microbial infections, Diarrhea, Oxidative stress, Inflammation, Diabetes, Hypercholesterolemia, Cancer and other conditions. Tulsi Capsule may also be used for purposes not listed in this medication guide. Tulsi Capsule contains Ocimum Sanctum as an active ingredient. 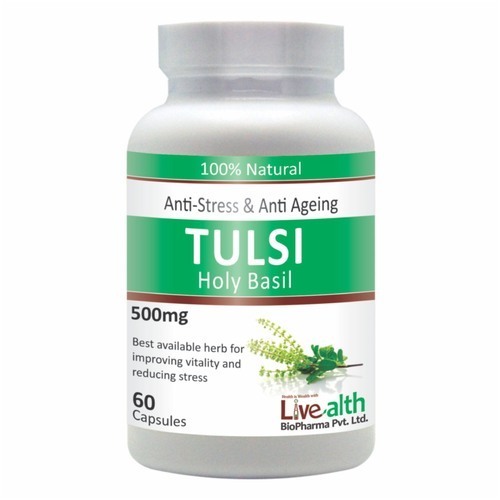 Tulsi Capsule works by preventing or treating various diseases. Livealth biopharma Company manufactures Tulsi Capsule.